Silver Dollar US Coins in circulation prior to 1965 is often referred to as junk silver, but they are in fact a unique, and wise investment. Your initial reaction when hearing the unofficial terminology, “junk silver” may be to ignore this bullion category, however, investments in pre-1965 silver coins and silver dollar coins over time become very profitable. These silver coins are precious parts of American History dating as far back as over 60 years ago. Though these iconic coins appear visibly worn with evident signs of usage they are a tried and true investment because of the 90 % silver content in these rarities. These coins continue to serve as a notorious example of the durability in American coinage through the years. There are only a few types of silver coins that have as much historical value as junk silver coins have, which inherently has made these coins a highly desired procurement by collectors and investors all over the world. Yet, it is not about the design or condition of these silver coins, but rather the 90% or 40% silver content that makes them so attractive. Even though 90% and 40% silver coins and silver dollar coins may have little or even no numismatic value, their silver and sentimental values are highly appreciated in precious metals markets. Historically, clients who realize this huge opportunity get very high returns on their investments of 90% silver coins. Bullion Exchanges selection of Pre - 1965 US Silver refers to old US coinage containing 40% or 90% silver. For centuries, the United States used silver in all of its coins, except for the penny, because the silver price was low and its physical qualities made it a convenient choice. These silver coins were used as a currency for everyday purchases, such as food or clothing. However, when silver began increasing in value, it became far too expensive to be used for the circulation of everyday currency. As a result of this, the U.S. Government decided to replace silver coins and silver dollar coins with coins made of a copper-nickel mixture. 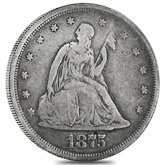 Shortly thereafter, American investors and collectors started to focus their attention on these old U.S. Silver coins. Since then, the original Silver coins have become scarcer and more desirable. Nowadays these 90% and 40% silver coins remain difficult to acquire. These particularities make them a very attractive opportunity for collection and investment. These silver coins have a high demand because their run period was very short, thus making them an exclusive investment. 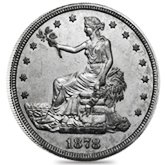 The most popular silver coins are Morgan Silver Dollar, Peace Dollars and the 90% and 40% silver coins, which are available for purchase here from Bullion Exchanges. 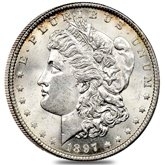 One of the most famous US silver coins is the Morgan Silver Dollar which was designed by the English United States Mint engraver George T. Morgan. These coins were minted between the years 1878-1904, and again in 1921, being the first standard minted silver dollars. Their design represents a profile portrait of the Liberty on the front side and an eagle with outstretched wings on the back side. The second of the most famous US Pre - 1965 silver coins is the Peace Dollar, designed by Anthony de Francisci, an outstanding Italian-American sculptor who won the competition for the best design representing peace. 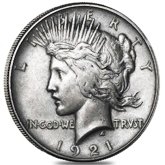 Peace Dollar coins were minted between the years 1921 until 1928, and again in 1934 to 1935. Their design depicts the Liberty's head and neck and a bald eagle clutching an olive branch on the reverse - the symbol of peace. The Peace dollars are the last US silver dollar coins struck for circulation. The 90 and 40% silver US coins embody the beauty and historical value of junk silver by following great designs of depicting the Lady Liberty and the American Eagle. They are one of the most popular options for junk silver investments. 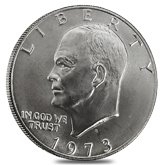 These days the pre-1965 quarters are very popular among silver investors, along with silver half-dollars and dimes. These old coins contain 90% or 40% of silver and their value as silver bullion is higher than their face value due to the current silver price. This is why many collectors consider them the best choice for financial investing. Why should you buy Junk Silver Coins? There are plenty reasons to purchase Pre - 1965 US Silver Coins. First of all, these coins carry a great historical value of the American currency system, being an excellent opportunity for collectors of old U.S. coins. Second is their silver value. Junk silver coin prices have significantly increased over years: like the 90% junk silver quarter, that is now 20 times more worthy than it was in 1964. 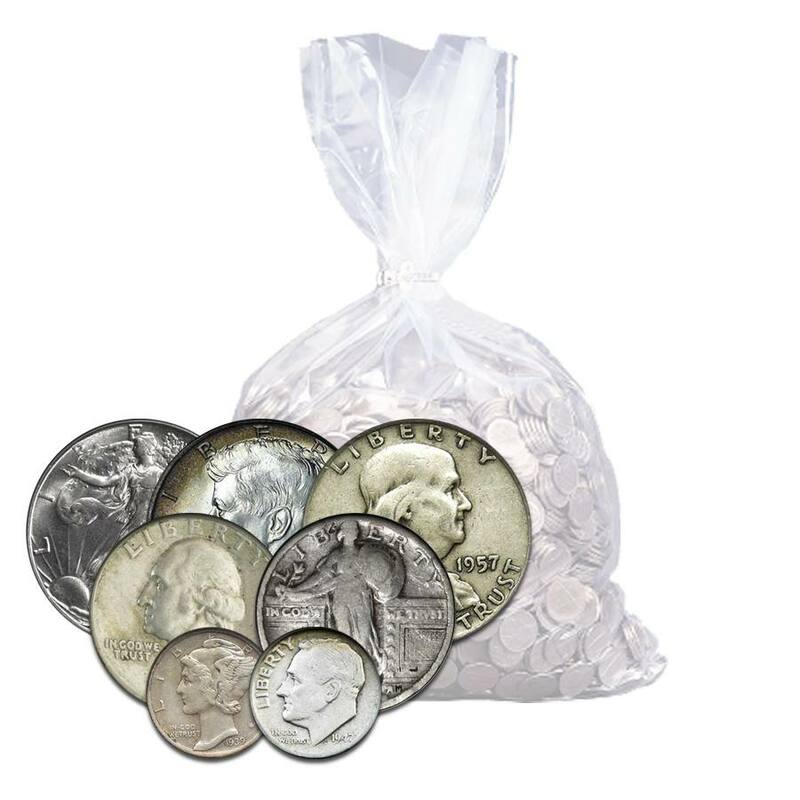 Moreover, these silver coins are very easy to trade, since they used to be in circulation, and are available both individually or in bags of the same face value. Another reason for you to consider buying old silver coins is that they are a perfect birthday or special occasion gift. Both their historical and silver value makes them an excellent choice for making a special and valuable present. Bullion Exchanges offers you the best quality junk silver, with silver prices very close to the spot. Check our full selection of and purchase your favorite silver coins online today!